Wuhan: Simona Halep was defeated 6-2, 6-1 by Russia's Daria Kasatkina on Tuesday at a tumultuous Wuhan Open that has seen two thirds of the top seeds tumble out in the first two rounds. The world number two headed for the exit along with Dane Caroline Wozniacki, ranked six, who crashed out 7-5, 6-3 to Maria Sakkari of Greece. 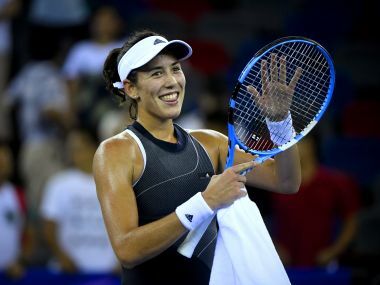 But it was not all bad news for the sport's top players as Spaniard Garbine Muguruza, world number one, triumphed against Ukrainian Lesia Tsurenko, sailing into the third round with a 6-4, 6-4 victory. The 25-year-old Romanian was competing in her first match since the opening round of the US Open when she lost to Maria Sharapova. "I didn't play for a month. 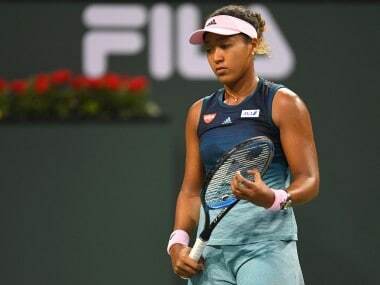 It's tough to come back and to play matches... Maybe it was a mistake that I didn't play, but I needed rest after the US season," she said after the match. "What I saw after the US Open was that my serve is too soft for the big players, so that's why I decided to work on it more," she added. Meanwhile Wozniacki, seeded four, was upset by Sakkari, ranked 80 in the world, who grabbed her first win over a top 20 player. The defeat came after Wozniacki, who finished as year-end world number one in 2010 and 2011, won her third Pan Pacific Open in Japan last week, capturing her first title of the year. She had previously lost six finals. In other matches, Karolina Pliskova triumphed over China's second-ranked player Zhang Shuai after a tense three-set battle. The 25-year-old Czech overpowered Zhang 6-4, 3-6, 6-4 in just over two hours, breaking an unlucky streak for the competition's top seeds at the China tournament. Pliskova, seeded three, has never lost a match against Zhang and once again showed she had the measure of her Chinese opponent, who had been on a high after winning the Guangzhou Open last week. She will now face another home crowd favourite, Wang Qiang, the first-ever Chinese player to reach the third round at Wuhan. 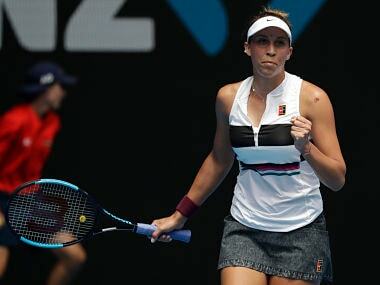 Elsewhere, Latvian Jelena Ostapenko, seeded eight, triumphed over Czech player Barbora Strycova 2-6, 7-5, 6-3. Agnieszka Radwanska, seeded nine, defeated German Julia Gorges 7-5, 7-5.